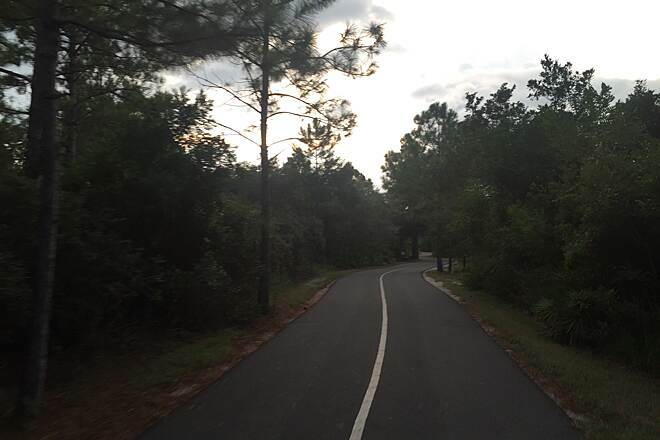 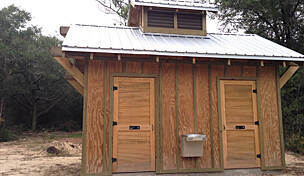 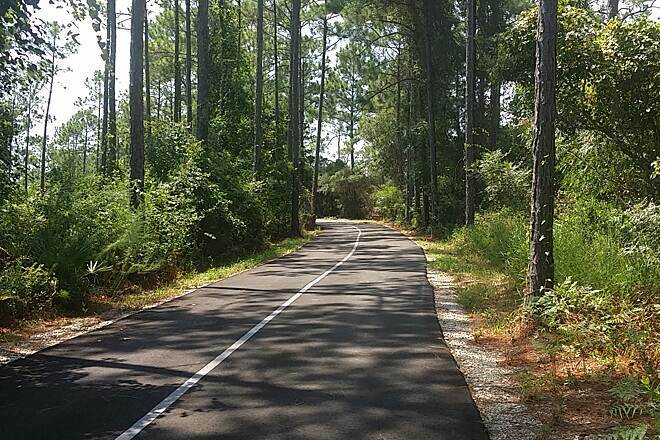 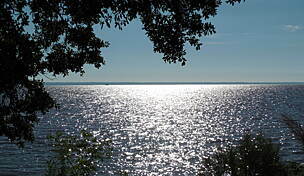 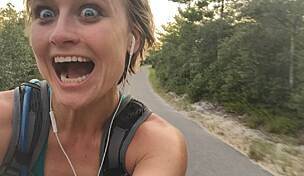 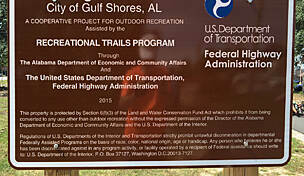 As its name implies, the Cotton Bayou Trail begins near the tip of the Cotton Bayou and a small beach area in southern Alabama's Orange Beach. 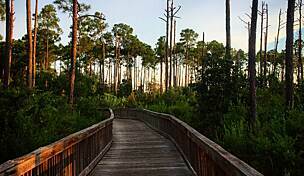 From there, the trail heads northwest for a mile through dense vegetation and along wetlands in Gulf State Park. 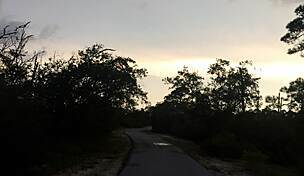 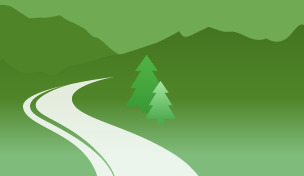 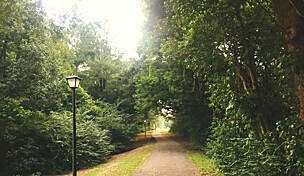 It ends at the Catman Road Trail, which takes you further into the park and connects to other Hugh Branyon Backcountry Trails. 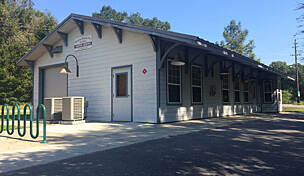 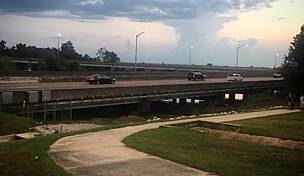 Parking is available at Cotton Bayou Beach, near the intersection of Highway 182 and Highway 161. 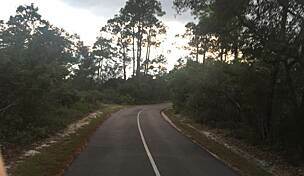 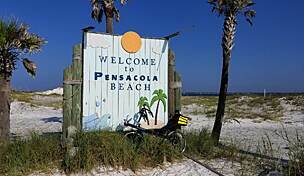 Rode Cotton Bayou 2014-06-14 and it was paved all the way to the water tank off Hwy 161.